Inventory optimization technology can lower costs, make you more efficient across all business units, while improving responsiveness to immediate and projected customer needs. But inventory optimization is more than a way of streamlining operations – it’s about making inventory a genuine profit center, and giving you a key competitive differentiator. There are a number of things to consider in selecting and implementing the optimization platform that’s right for your organization. 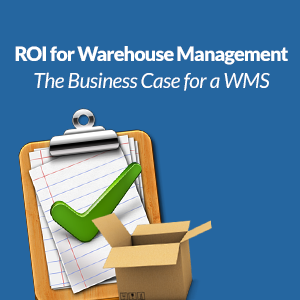 Companies measure the effectiveness of inventory controls by 1) how successful they are at reducing inventory investment, 2) whether they’re meeting customer service goals, and 3) to what extent they’re achieving maximum throughput and cost containment. In a 2012 survey of supply chain professionals conducted by the Aberdeen Research Group, 60% cited reducing inventory costs as their top priority, with 42% citing improving customer service levels as a top priority. New technologies have emerged to automate supply chain inventory controls. These technologies efficiently classify stocking levels (buffer, replenishment, overage) derived from past demand, augment supplier management based upon past supplier performance, and, using “big data,” detect even subtle changes in consumer/inventory patterns for more precise forecasting. Modern inventory optimization systems integrate with the existing ERP system, allowing you to get real-time inventory snapshots synthesized and graphed from multiple business units or departments. Such systems allow you to identify and diagnose granular changes in demand and, as previously stated, glean larger consumer patterns to better forecast scheduling to restock or re-price specific items, better predict sales cycles, and establish thresholds per item for automated ordering and replenishment. Inventory optimization technology goes well beyond logistics and the stocking/restocking of goods. Today’s technology can process “big data” and yield deep insights into customer behavior, determine what’s driving it and how to most efficiently and cost-effectively serve their needs…indeed, even anticipating these needs. Put simply, the right optimization platform can significantly cut costs, enhance operational efficiencies across all business units, and make your organization more responsive to immediate and projected customer needs, while improving overall competitiveness and profitability.